Cloud the Stallion watches over his territory. The Cloud Foundation. Devil’s Garden Horses and Adopters need your help! Nearly 1,000 Devil’s Garden wild horses captured in October’s round up are in danger of being sold for slaughter. Despite public opposition and California law, which makes it a felony to sell wild horses to slaughter, the Forest Service may get away with this heinous act. To compound this tragedy, to date the Forest Service has destroyed 6 horses rounded up from Modoc National Forest after they showed signs of Pigeon Fever. While we know this is a curable illness that does not warrant death, the fact remains that it is a communicable disease – transmittable to adopters’ own livestock. Despite deeming it serious enough to kill 6 animals, the Forest Service plans to move ahead with adoptions starting Nov 16. Action is needed urgently! Due to a 3-4 week incubation period during which animals may appear asymptomatic – and lack of quarantine in the holding corrals, there is no way to know how many of the 962 horses rounded up may be affected or how many potential adopters’ animals will be at risk. Your voice is needed to protect these vulnerable animals! Please speak out on behalf of the wild horses and domestic animals at risk if this adoption goes forward. Just a few minutes of your time will make a huge difference! The Forest Service MUST halt the Nov 16th adoption of horses in the Double Devil Corrals in Alturas, California. It is public knowledge that 6 horses from this herd have been destroyed after showing signs of Pidgeon Fever. This is a communicable disease that is easily transmitted to adopters’ animals. That the Forest Service would pursue this course of action after deeming the illness so grave as to warrant death is gross negligence and could result not only in public outrage but in potential lawsuits. Moving forward with this event would be inexcusable, as the Forest Service is knowingly putting the public and their livestock at risk of harm. America’s wild horses are federally protected species and yet, they are in danger of being sold to slaughter by the truckload if the Forest Service is allowed to proceed. We need your help to keep these American icons safe. We ask for just a few minutes of your time to speak on their behalf. 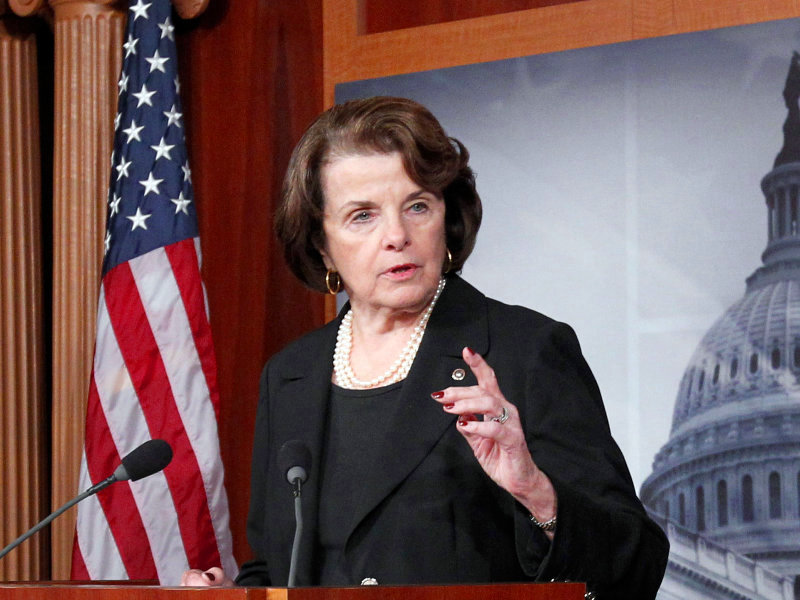 WASHINGTON, D.C. (Oct. 9, 2018) —Senator Dianne Feinstein (D-Calif.) today called on the Forest Service to halt the sale of wild horses in California until concerns over potential horse slaughter are addressed. I write to request that you provide details as to the wild horse roundup that is set to begin tomorrow on the Modoc National Forest. According to the Forest Service webpage for the Modoc National Forest, the removal of “approximately 1,000” wild horses from Devil’s Garden Plateau Wild Horse Territory in Northern California is set to begin as early as tomorrow, October 10th. According to the Forest Service, this is the first roundup of wild horses of this type in 13 years. How does the Forest Service determine the appropriate management levels (AMLs) for wild horses on the Modoc National Forest? How does the agency meet the requirements of the 1971 Act to “achieve and maintain a thriving natural ecological balance on the public lands”? What steps has the agency taken to enhance the safety of these roundups? What steps have been taken to enhance the likelihood of adoption or sale of wild horses? Can the Forest Service certify that no horses that are sold will be transferred to third-party buyers who may end up slaughtering the animals for commercial use? What are the funding needs to ensure that AMLs can be met in the future so the Forest Service doesn’t need to resort to roundups of this nature? Thank you in advance for looking into this. I look forward to hearing from you. California wild horses. By Wide Open Country. CNN (Oct 8, 2018) — On Wednesday, officials will begin rounding up 1,000 wild horses from federal land in Northern California and putting them up for sale and adoption. Pregnant and younger horses will likely be adopted, federal officials say, but older horses will be sent to another corral where they could be sold for as little as $1 each to ranchers, horse trainers and other buyers — including those who might ship them to slaughterhouses. Why are these horses being rounded up? The horses live on Devil’s Garden Plateau, a protected territory inside Modoc National Forest near the Oregon border. It’s home to the largest herd of wild horses in the country managed by the US Forest Service. Last month, federal officials said they’ve exceeded their limit for how many horses the area can hold. “Our territory is supposed to have 206 to 402 animals, we have almost 4,000 horses,” Modoc National Forest Supervisor Amanda McAdams said in a statement. The plateau is 258,000 acres, but McAdams said there’s not nearly enough vegetation and water to support all the horses. The horses have been feeding on limited foliage and drinking up most of the water supply, leaving little behind for other wild animals. “Reducing the population will allow range and riparian ecological conditions to recover, while also supporting herd health by reducing competition for limited food, water and habitat,” the Forest Service said in a press release. By Christina Maxouris and Brandon Griggs, CNN. Wild horses Utah. AWHPC image. Photographer not cited. SALT LAKE CITY, Utah – The Bureau of Land Management’s (BLM) National Wild Horse and Burro Advisory Board will meet October 9-11, 2018, in Salt Lake City, Utah, to discuss the pressing challenges of wild horse and burro management. This includes the backlog of unadopted and unsold animals in BLM facilities and the adverse effects overpopulation is having on public lands. The meeting will be live-streamed from 8 a.m. to 5 p.m. Mountain Time on Wednesday and Thursday, at http://www.blm.gov/live. The BLM will also host a field trip for the Advisory Board to one of the local wild horse herd management areas on Tuesday, October 9. As of May 22, 2018, the BLM estimated public rangelands were home to nearly 82,000 wild horses and burros in 10 Western states – the largest population estimate since the 1971 Wild Free-Roaming Horses and Burros Act was passed – and more than three times the number the habitat can sustainably support in conjunction with other authorized land uses. At the same time, the BLM continues to care for approximately 45,000 unadopted and unsold excess animals in its off-range corrals and pastures, costing taxpayers $50 million annually – nearly two-thirds of the Wild Horse and Burro Program annual budget. The agenda of the upcoming meeting can be found in the September 5, 2018, Federal Register at https://go.usa.gov/xPcdQ. The final meeting agenda will be posted on the BLM website at BLM.gov/WHB prior to the meeting. The meeting will be held at the Courtyard Marriott Salt Lake City Downtown located at 345 West 100 South, Salt Lake City, Utah, 84101. The hotel’s website address is https://www.marriott.com/hotels/travel/slccd-courtyard-salt-lake-city-do… the phone number is (385) 290-6500. The public may address the Advisory Board on Thursday, October 11 from 2 to 4:30 p.m. Mountain Time. Individuals who want to make a comment should register in person with the BLM prior to 1:45 p.m. local time, on that same day at the meeting site. Depending on the number of speakers, the Board may limit the length of comments, which has been set at about three minutes per person during previous meetings. Speakers should submit a written copy of their comment to the BLM at the addresses below or bring a copy to the meeting. There will be a webcam present during the entire meeting and individual comments will be recorded. Those who would like to comment but are unable to attend may submit a written statement by October 2 to: U.S. Department of Interior, Bureau of Land Management, National Wild Horse and Burro Program, WO-260, Attention: Advisory Board, 20 M St. SE, Room 2134, Washington, D.C., 20003. Comments may also be e-mailed by October 2 to the BLM at whbadvisoryboard@blm.gov. Please include “Advisory Board Comment” in the subject line of the e-mail. The Advisory Board is comprised of individuals representing a diverse range of stakeholders and interests. The Board provides advice and recommendations to the BLM as it carries out its responsibilities under the 1971 Wild Free-Roaming Horses and Burros Act. The law mandates the protection and management of these free-roaming animals in a manner that ensures healthy herds at levels consistent with the land’s capacity to sustainably support them as part of BLM’s multiple-use mission. Because wild horses and burros have no predators capable of naturally controlling population growth, if left unmanaged herds can grow quickly and overcome their habitat’s ability to support them. For additional information regarding the meeting or to register to attend the October 9 HMA tour, please contact Dorothea Boothe, Acting Wild Horse and Burro Program Coordinator, at (202) 912-7654 or at dboothe@blm.gov. Individuals who use a telecommunications device for the deaf (TDD) may reach Ms. Boothe during normal business hours by calling the Federal Information Relay Service at 1-800-877-8339. Note: If you have anything to say to the BLM about the management of America’s wild horses and burros, the deadline is October 2, 2018. See paragraphs 5 and 6 above for contact information and details. Why heroin is called "horse"
Marshmallows — Are they really made with horses' hooves? See what's cooking with these delicious Vegan recipes.